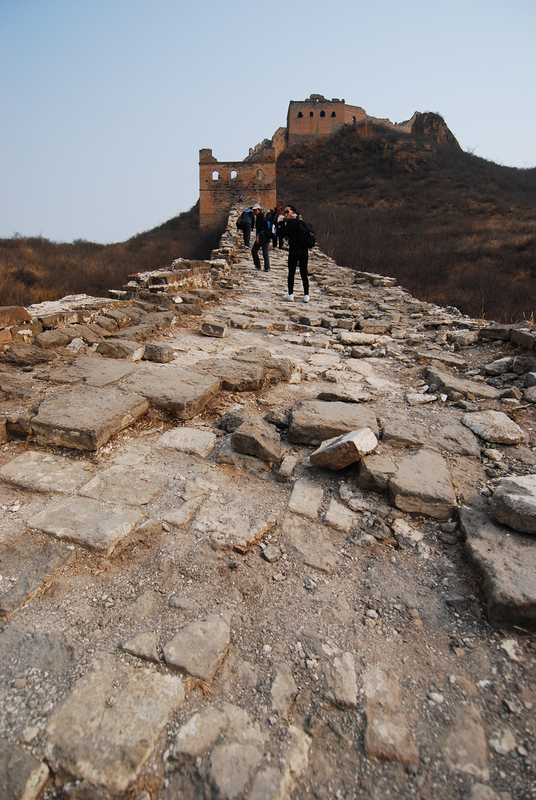 During the long weekend of QingMing back in early April, I camped and hiked on the Great Wall (长城, Chángchéng) with schoolmates. Yup, camped. 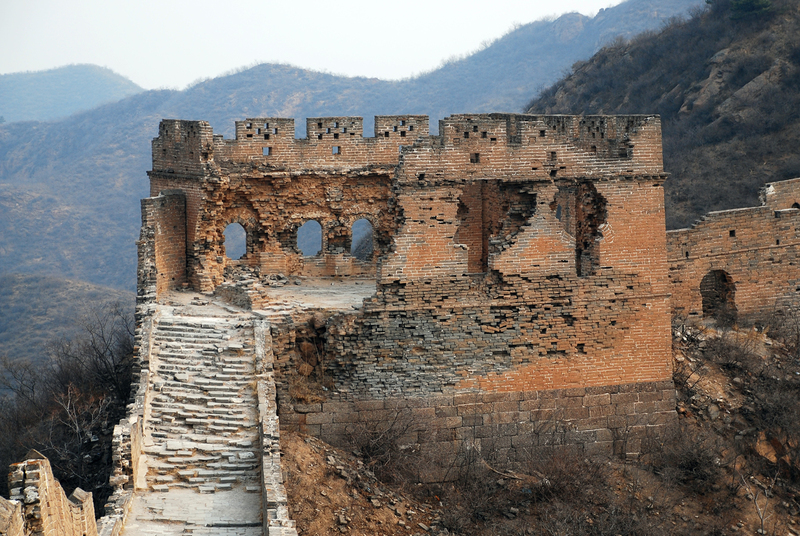 We stayed overnight in one of the barracks/watchtowers which is rented out by a local businessman from the Great Wall. He provided us with a delicious feast for dinner cooked by his wife, many drinks, and sleeping bags for the night. It was really an incredible and aw-striking experience to see such a spectacular manmade structure, particularly the middle section between Jinshanling and Simatai which has not (yet) been renovated. 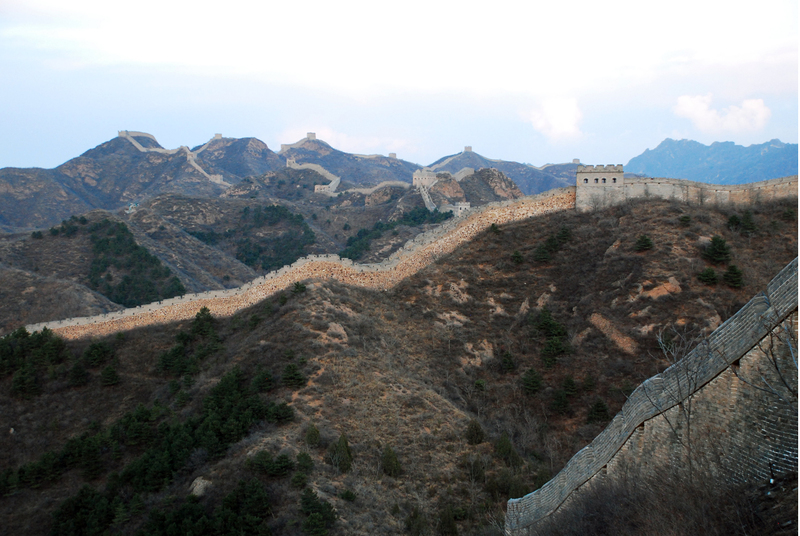 In this section, local women hike up the Great Wall everyday (we could see footpaths from the Great Wall that led off into the distance with no other structures to be seen but trees and nature). Because the section is not renovated, the rocks, sand, gravel, and bricks are a bit dangerous and slippery (though, not to the locals), these ladies offer you a lending hand to cross, but beware! because they will charge a fee for helping hikers cross if they decide to grab onto their hand for help… In reality, we can’t fault them for such a creative way to make an income. And to see other hawkers sell t-shirts, snacks, and drinks on the Great Wall was an intriguing insight into this local life around the tourist attraction.